The results are out from New Zealand’s longest running reputation study which looks at the public’s view on the reputation of New Zealand’s top 25 earning companies. Toyota has claimed the title of New Zealand’s most reputable company, according to this years annual ‘New Zealand Corporate Reputation Index’. Toyota has been a consistent performer in the index featuring in the top two since 2013 and was the only company to receive an overall ‘Excellent’ ranking. Another consistent performer, Air New Zealand which held the title last year, had to settle for being the bridesmaid coming in second behind Toyota. The annual Corporate Reputation Index is carried out by research group AMR, measuring how New Zealanders view the nation’s top 25 companies by revenue according to seven parameters: products, innovation, workplace, citizenship, governance, leadership and performance. 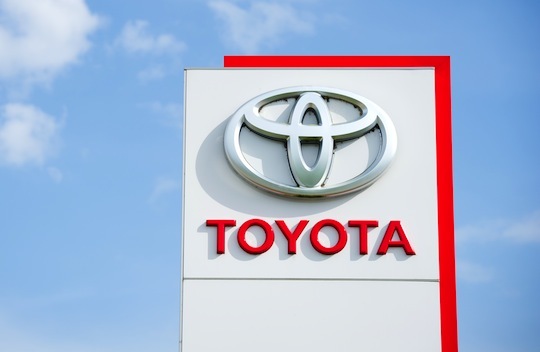 AMR managing director, Oliver Freedman said Toyota’s performance in the areas of products, innovation, governance and citizenship had been particularly highly rated this year. “To rate so highly across these four measurements established an excellent emotional connection with many New Zealanders, who place great value on innovation, transparency, community involvement and consistently great products,” said Freedman. This year’s biggest improver was Woolworths, which rose from 23rd position in 2014 to ninth position this year. “Woolworths had what many perceived to be a disastrous year in 2014, which saw allegations of anti-competitive behaviour tarnish its reputation,” said Freedman. Other improvers include Fletchers Building which rose five places to 13th and also the major banks ASB, BNZ and Westpac which all rose four places from last year. Vodafone saw its ranking plummet eight places from 12th in 2014 to 20th this year, following the announcement of potential job losses, and financial losses at the end of 2014.